The 134th Brigade Support Battalion is a Minnesota Army National Guard battalion headquartered at Camp Ripley, providing logistical and health care sustainment to the 1st Armored Brigade Combat Team, 34th Infantry Division34th Infantry Division. In 2015 the 134 BSB deployed to support the state's avian influenza response working with local authorities by conducting water support missions to help contain the outbreak. Additionally, the 134 BSB provided logistical and health care sustainment to the 1/34 ABCT. This was highlighted during the 2015 eXportable Combat Training Capability exercise at Camp Ripley Training Center. 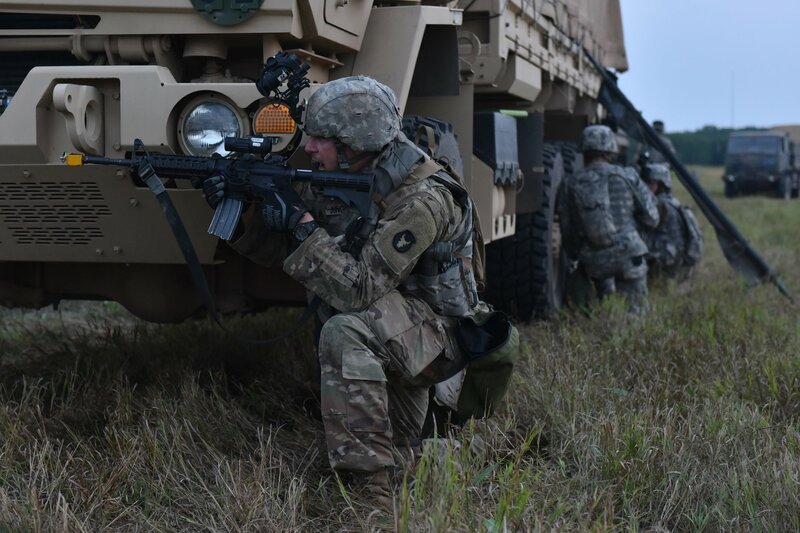 The battalion successfully provided uninterrupted sustainment operations including supply distribution, field maintenance, and medical support while validating perimeter defense, mass casualty, tactical convoy, relocation, and vehicle recovery. There are nine major units in the 134 BSB: Headquarters and Headquarters Company at Camp Ripley Training Center, A Company in Brooklyn Park, B Company at CRTC, C Company in Cottage Grove, D Company 1-94 FSC in Duluth, E Company 334 BEB FSC in Inver Grove Heights, F Company 1-125 FSC in St. James and St. Peter, G Company 1-194 FSC at CRTC and H Company 2-136 FSC BSB at CRTC. The 134 BSB motto is "First to Support."